Enjoy local beer at the "international" corner Ta Hien where the walking tour as well as tourists can not miss. Only with small plastic stools without tables, you can enjoy Bia Hoi - unique local taste called draught beer follow the characteristic way at the Old Quarter and relax, observe the daily life of local people. One of the oldest religious pagodas in Vietnam. This padoda is located beside the West Lake, on Thanh Nien Road, Hanoi. 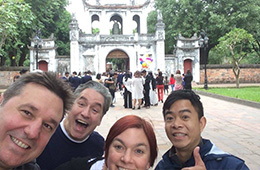 A great way to experience a side of the Old Quarter life with local cuisines through Hanoi street food tasting tours as well as historical cultures. The best way to discover the capital city of Hanoi and sightsee it’s attractive spots. 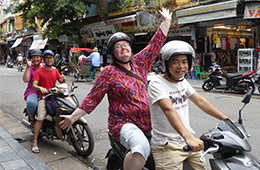 Hanoi food tasting tour via motorbike tour brings you a fulfilling experience of the city. 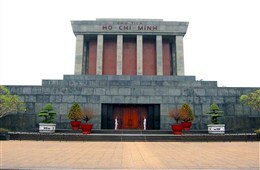 Ho Chi Minh Mausoleum with Hanoi city day tour. 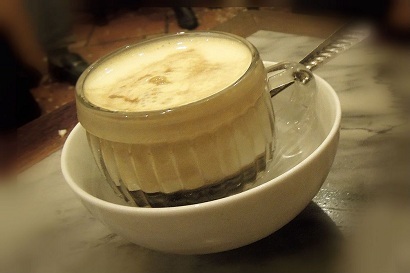 Egg Coffee – Special vietnamese coffee. Traditional house 87 Ma May-One of retained old houses of typical architectural style in Hanoi. 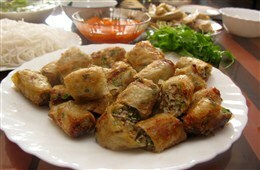 Spring roll – One of traditional vietnamese foods. Fantastic night out I highly recommend this tour. The guides are very friendly and helpful. You can try anything you ask to. The egg coffee was a must try. Friendly, easy going guide and interesting yummy street food all while being educated about local food & culture. Great introduction into food & getting around old quarter! Fantastic night! Thank you!! I would really recommend this excellent tour of old Hanoi by foot. Duc ivan, our guide, was very friendly with a great manner and had a great knowledge of the secrets of the area. It was great to talk with him and learn more about Vietnamese culture and traditions. A very relaxing afternoon. 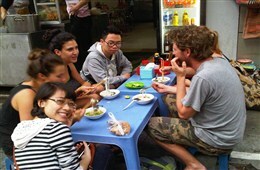 Hanoi street food tour by Ducivan.